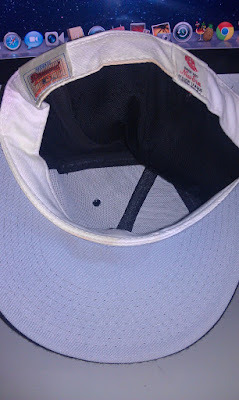 This cap is boss because it offers a glimpse into the small changes that MLB caps go through from year to year. The Yankees were the last team to hang onto the green underbrim style for their on-field caps before switching to the grey brims in 1994. 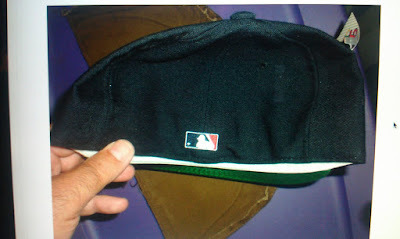 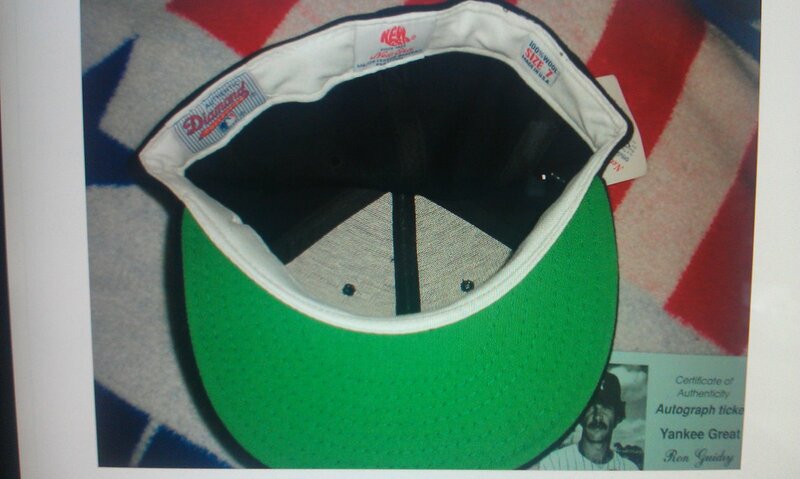 Because this cap's style is so timeless, collectors such as myself will scour the earth for vintage caps with the elusive green underbrim. There is something so official-seeming about this cap; all others pale in comparison. 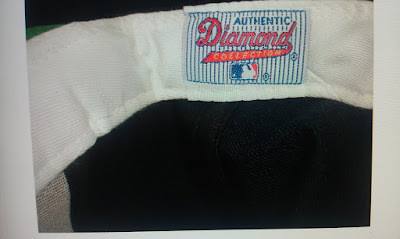 These next two photos are from a post entitled 1983-1993 SF Giants Cap 4 (1991) and what I'd like to note here is that the "Authentic Diamond Collection" tags are exactly alike but that is where the similarities end. 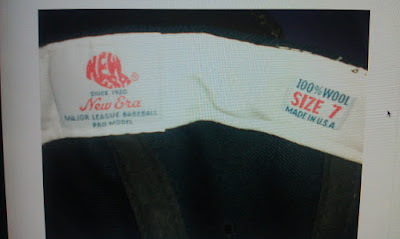 The "New Era" tags closely resemble each other but I have to deduce that the one on the Yankees cap is more recent because of the updated style of the size tag. 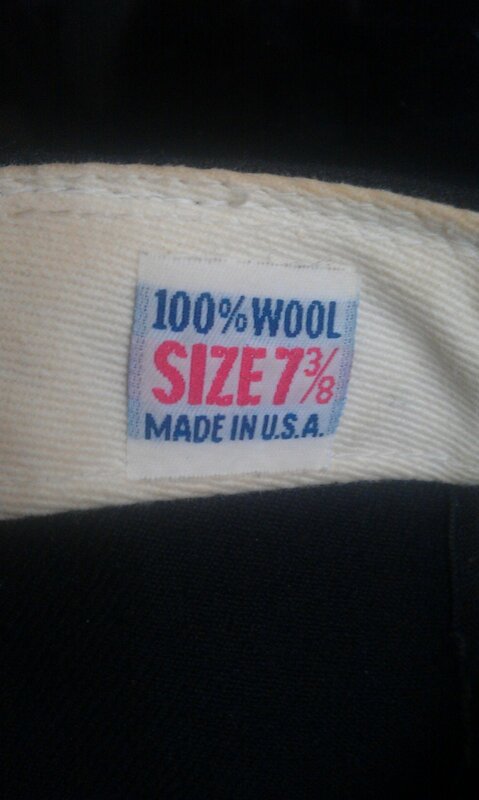 These next two photos are from a previous post entitled 1983-1993 SF Giants Cap 2 (1993) and you'll notice that this time the "100% Wool -Size 7 3/8 - Made In U.S.A." tags are exactly alike on the two caps while the "Authentic Diamond Collection" on the Giants cap is a newer and updated tag from previous years. As a side note, both caps feature an embroidered MLB batterman logo which in fact made it's debut for the 1992 season. It's strange because it seems as though some teams featured glued-on versions of the batterman logo while others went with an embroidered look. 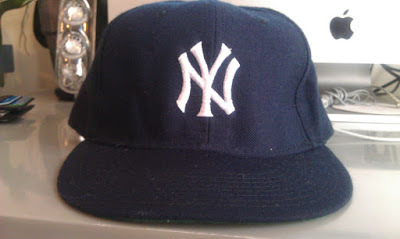 At any rate, what finally leads me to believe that this Yankees hat is from 1992 is because the Yankees switched to grey under brims in 1994 and the Giants moved away from the team's block-style logo in favor of the "SF" logo with serifs that year as well. 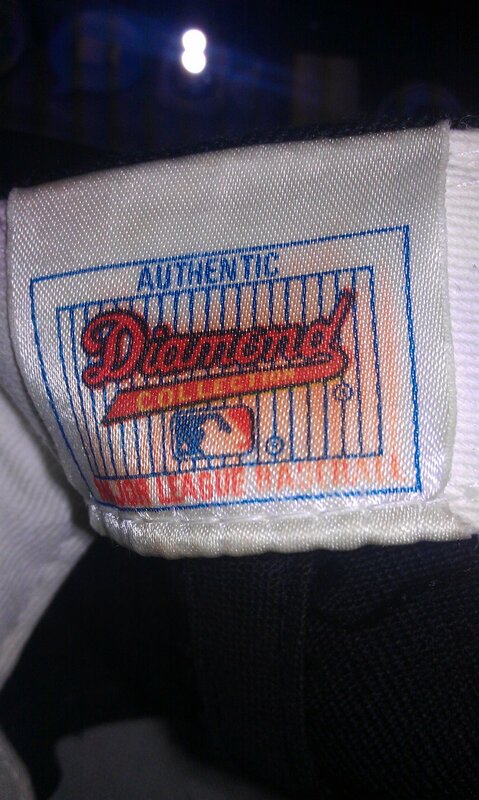 For this Yankees cap to have come out in 1993, the "Authentic Diamond Collection" tag would have to match with the one from the Giants cap pictured below and it clearly does not. These are some photos of a Yankees cap that was purportedly bought in 1992. 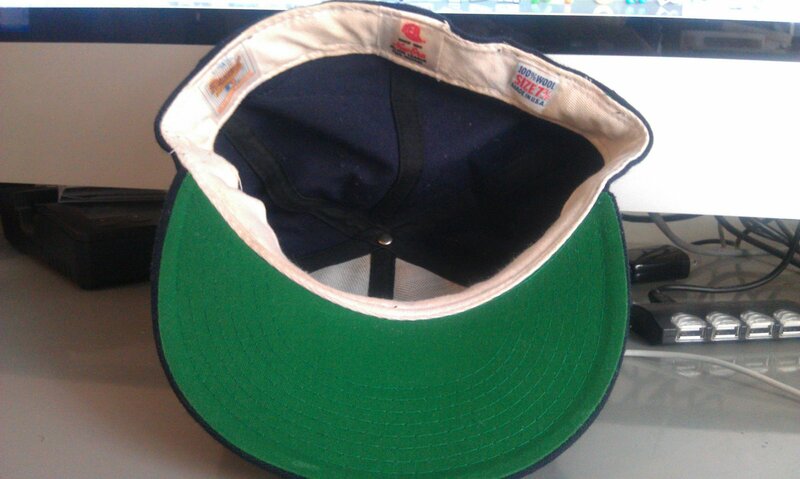 This isn't a cap that I own, but rather one that I took photos of online. 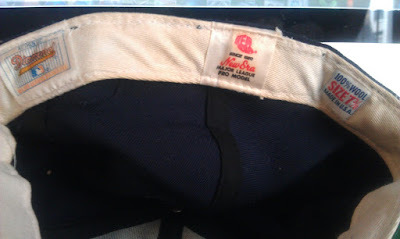 That might break some sort of fitted cap ethos but I felt compelled to document this cap because it is supposed to be from the same year as the one discussed here, however all of the tags are identical to the Giants cap pictured directly above. 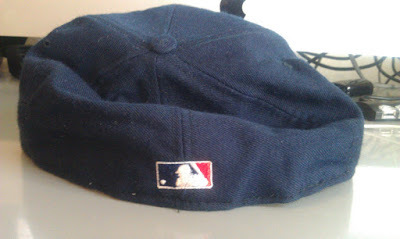 The only conclusion that I can draw from this is that the cap pictured below might have been purchased in 1992, but it is actually the cap that the 1993 Yankees wore. 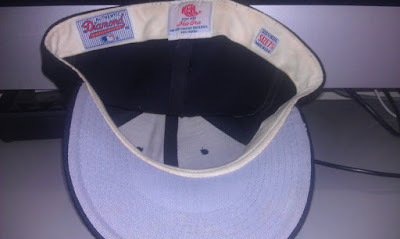 Again, this is one of those times that a former ballplayer with a steel-trap memory would come in handy as a consultant for the site!